"Steve is a trustworthy, reliable and competent attorney who embraces his role as both an adviser and a strategic business partner for his clients. His responsiveness, work ethic and practical approach to handling transactions and addressing projects are unmatched and truly appreciated." 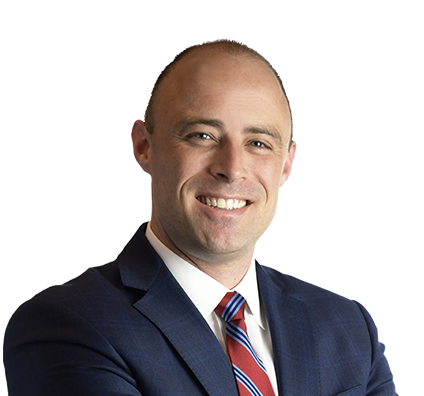 Steve navigates clients through complex commercial transactions, serving as a valued partner as he helps craft customized financial and legal strategies and solutions. He represents companies and business owners from a variety of industries in corporate, commercial finance and real estate transactions, including mergers and acquisitions, reorganizations, private offerings of debt and equity capital, joint ventures and business succession planning. In addition to his work with established businesses, Steve provides practical advice for entrepreneurs and emerging companies on entity formation, governance and growth transactions. Represented global manufacturing company in multiple strategic acquisitions involving domestic and international operations. Advised Midwest-based consulting group on acquisition of multiple regional wealth management, insurance brokerage and employee benefits advisory businesses. Negotiated acquisition of substantially all assets and business of national moving, storage and logistics company, as well as related acquisition financing. Advised national solar panel developer in structuring strategic joint venture and acquisition transactions. Represented digital media company in acquisition of multiple Irish consumer magazine brands and related intellectual property. Represented national commercial real estate investment firm in several multi-portfolio acquisition and financing transactions, and related joint venture structuring. Negotiated construction and permanent loans and credit facilities for regional and national commercial real estate developers. Represented provider of cloud-based insurance agency management platform in multiple rounds of debt and equity financing. Advised multichannel business marketing company on private placement securities offerings and subsequent reorganization and merger with strategic partner.